Niall McDiarmid (1967-)is a Scottish photographer. 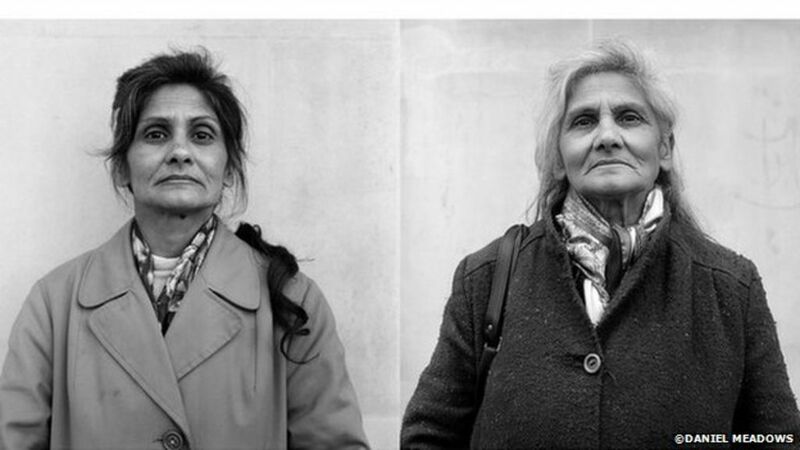 His work is primarily about documenting the people and landscape of Great Britain and he has published 3 books of street portraits made in Britain: ‘Crossing Paths’ (2013), for which he “visited 120 towns and photographed 800 subjects over three years”; ‘Via Vauxhall’ (2015), which ‘captures passersby traveling through the rapidly changing neighborhood of Vauxhall’ in London; and ‘Town to Town’ (2017) with more portraits from around Britain. He has had solo exhibitions in the UK at Oriel Colwyn in Colwyn Bay, Museum of London in London and at the Martin Parr Foundation in Bristol. (Reference: https://en.wikipedia.org/wiki/Niall_McDiarmid). Niall McDiarmid used to get the train to random places on a Saturday, buying cheap tickets and returning late to avoid paying to stay over. He would photograph people who represented the place, using colour, shapes, and patterns… Photographing Britain in bright colours. His images aim to give a general overview, rather than categorising people. Daniel Meadows (1952-) is an English photographer turned maker of digital stories. He worked at Butlin’s Holiday Camp at Filey during summer 1972 to pay for the publicity materials with which he hoped to get funding for the purchase and one year’s use of a double-decker bus. He succeeded and for 14 months from September 1973 travelled around England in the Free Photographic Omnibus, a 1947 bus whose seats had been removed to make space for a darkroom and living quarters: its windows were used as the gallery. Meadows took the bus to 22 towns and photographed 958 people alone or in groups. Some of this work was published in his first book, ‘Living Like This’ (1975), which combined Meadows’ photographs and text with first-person accounts of those he had talked with. Meadows developed images overnight and gave them to people free the next day. (Reference: https://en.wikipedia.org/wiki/Daniel_Meadows). Many years later, Daniel Meadows went back to find the people he had photographed. He rephotographed some, producing a picture of changes in England. He started reinventing his work and was the first photographer to use a Mac to make photo stories, using digital platforms and voiceovers and telling stories. His Photobus website is a journey in photo documentary., which ‘began in the 1970s with still photographs and continues into the present, a time when pictures have discovered the talkies’. Chris Shaw (1961-) is an English documentary photographer from the Wirral. He has created books of several photographic series: ‘Sandy Hill Estate’ (1989). (reference: https://en.wikipedia.org/wiki/Chris_Shaw_(photographer)). When he went to college in London, he felt he didn’t fit as a Northerner and failed. He drank too much, skipped college and photographed the estate. He tore photos to crop them and stuck them in a book for his project, then he lost it. After this he recreated the project and just did his own thing. While he befriended and photographed the residents, Shaw recorded his thoughts and theirs in his notebook. The notes give context to the images. (Reference: https://www.theguardian.com/artanddesign/2015/nov/29/chris-shaw-photographs-normal-people-retrospecting-sandy-hill-interview). Jim Goldberg (1953-) is an American photographer, whose work reflects long-term, in-depth collaborations with neglected, ignored, or otherwise outside-the-mainstream populations. A major mixed media exhibition by Goldberg concerning homeless children in California entitled ‘Raised by Wolves’ began traveling in 1995 and was accompanied by a book of the same title. A review of the exhibition noted that Goldberg made reference to other artists and photographers; used photographs, videos, objects, and texts to convey meaning; and ‘let his viewers feel, in some corner of their psyches, the lure of abject lowliness, the siren call of pain.’ Although the accompanying book received one mixed review shortly after publication, it was described as ‘a heartbreaking novel with pictures’. (Reference: https://en.wikipedia.org/wiki/Jim_Goldberg). The images were displayed in galleries and sold for 1000s of dollars. This raises ethical controversies over whether it is right to make money out of images of homeless people who have captioned their photos with text showing how desperate and hopeless their lives were and how they longed for happiness. Could this be considered exploitation? Shelby Lee Adams (1950-) is an American environmental portrait photographer who is best known for his images of Appalachian family life. Adams was the subject of a documentary film in 2002, ‘The True Meaning of Pictures: Shelby Lee Adams’s Appalachia’, which critiques and defends Adams’ method in photographing Appalachian people). (Reference: https://en.wikipedia.org/wiki/Shelby_Lee_Adams). Over 3 decades he lived and worked in communities and made friends with people. His images are staged, rather than being quick snaps. This raised ethical issues. 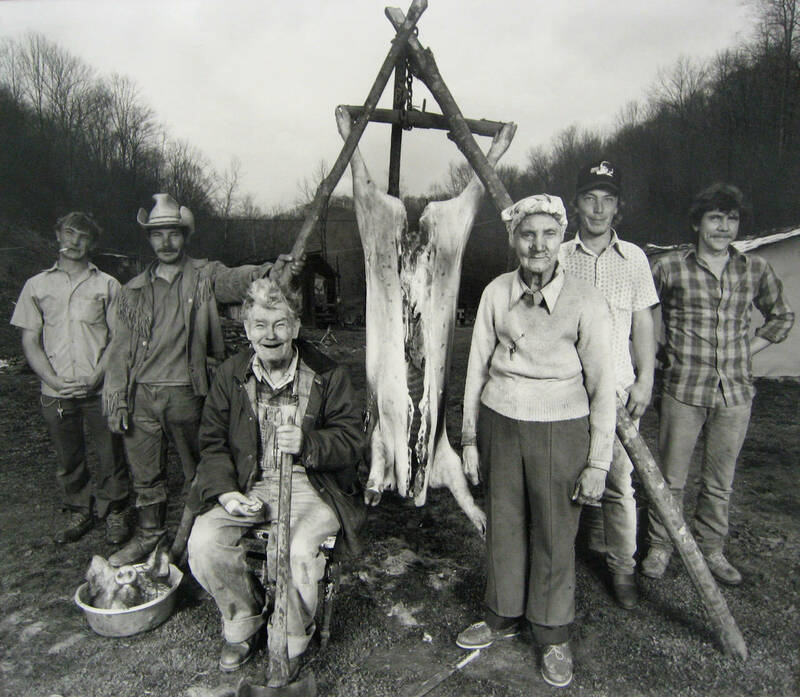 For example, ‘The hog killing’ is a picture taken in Kentucky after the ritual slaughter of a pig. It was planned and posed, and Adams paid for the pig because the family couldn’t afford it, and hadn’t be able to for 15 years. Critics said this was false because it was a disappearing tradition and had been staged, accusing him of exploitation and misrepresentation. I would like to know how the family felt about it. Did they enjoy having a free pig that would feed them for several months, and being able to perform the tradition? Or were they unhappy about it? It seems that feelings may have been mixed. Generally it is reported that the older generation loved the images whereas the younger generation considered they were being stereotyped. As photographers we have a responsibility to be careful how we represent people, taking care not to label them and thinking about the ethics of what we are doing. Photographs don’t always tell the whole truth, and portraits can be particularly problematic. Is the message clear or ambiguous? What and who are we representing? Is the photograph likely to have any consequences, good or bad? Other media can be used to give context to the images, and help us to convey the story we want to tell. Some of the photographers above have done this very successfully. Paul Strand (1890–1976) was an American photographer who, in 1916, produced an image of a blind lady with a label around her neck. Is this ethical?